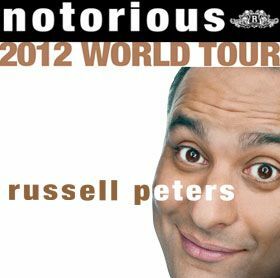 Everyone loves a good laugh, and Canadian comedian Russell Peters is sure to provide plenty during his Notorious World Tour, which stops at Pechanga Resort & Casino on June 9th! Tickets are on sale right now, so we wanted to make sure you don’t miss your chance to grab tickets while they are still available. If you believe that laughter is the best medicine then make sure you don’t miss out on the LA Comedy Festival next week! This annual festival runs from April 20th through the 26th at two different locations in Hollywood. With our love for a good laugh and a great time, we here at PiiQ will be attending one of the features playing at the Los Feliz 3 Cinemas. And if you’re a fan of improv/stand-up, head on over to the The Actors Company in West Hollywood for one of their live shows. Be sure to check out their site for show times and tickets!